Hi peeps! 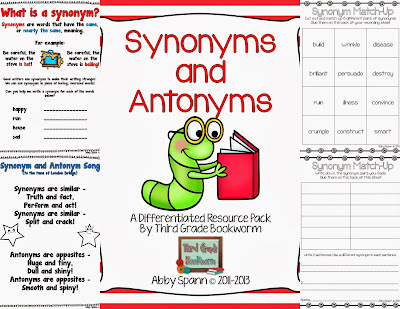 I'm back with a freebie and a revamped Synonym and Antonym pack for you! This unit went through the "makeover" process recently and my team has loved using it! 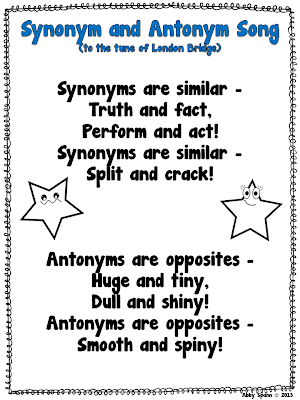 There are several new resources you can use in your interactive notebooks, including this Adding Antonyms flapbook! 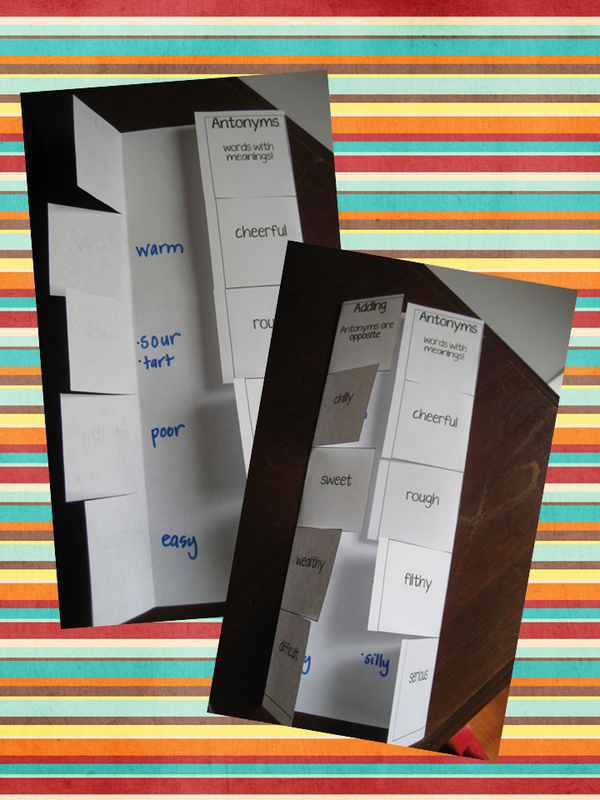 Many of the printables (including this one!) in this pack are differentiated so that your students can work on the same task at different levels! Hold up! Don't leave yet!! Favorite November Read Alouds: The Ugly Pumpkin! Are You on Love Note Overload?